Ever want to pick up a product from a store now and want to know if it is in stock in nearby stores? Yea, you have, I have. I end up calling stores to find a store that has it. But you may no longer have to do that. Just open your smart phone, go to Google, click on shopping and type in your product. 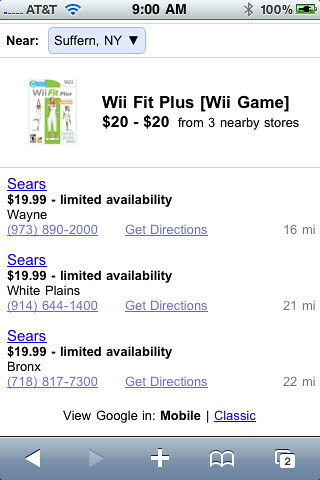 Then look for a blue indicator to see which stores have them in stock. 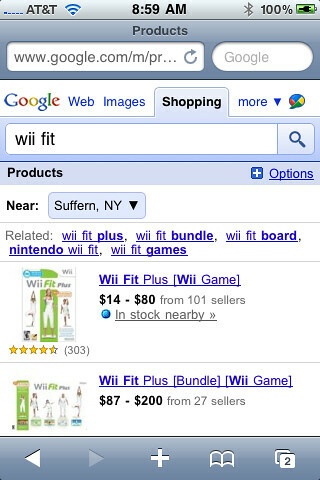 Great feature for the typical searcher. If you are a merchant and you want your product inventory data in Google Shopping, you will need to be part of the Google Merchant Center and Local Business Center and then fill out this form.